We have the entire gamut of herbs known by their common names. 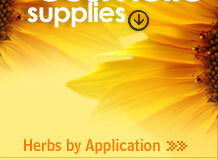 Our diverse variety of herbs sorted by their botanical names offers you an vast spectrum of choice. The Neroli tree got its name from Neroli Italy, the Princess Anne Marie loved to have this oil, so it was named Neroli. The oil properties are extremely valued by the people of Venice who used it against plague and fevers. Neroli essential oil is derived from the blossoms of either the sweet orange tree or the bitter orange tree. 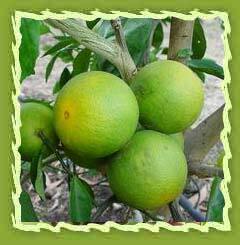 Our variety comes from the Bitter Orange tree which is viewed within the aromatherapy world as being of higher therapeutic quality. Chemical constituents: Neroli oil has various chemical compounds that include methulacetophenone, carotenoids, monoterpenses, sesquiterpenes, alkaoids synerphrine, methyl, methyl tyramines, triterpenoids, ergosterol and stigmasterol. Extraction: It is extracted by steam distillation of flowers. Uplifting and easing the mind, restoring ones energy. It acts like a great nerve tonic, supreme skincare ingredient. It helps to relax if suffering from anxiety as it is a natural tranquilliser. The therapeutic properties are anti-depressant, antispasmodic, aphrodisiac, anti-bacterial, anti-hypertension, bactericidal, cicatrizant, antiseptic, deodorant, fungicidal, emollient, cytophylactic, hypnotic, tonic, digestive-carminative, hepato-pancreatic, hypnotic and sedative. For PMS or emotional tension - added drops of neroli oil to honey every night to relieve pain. A neroli essential oil bath is also beneficial for dry skin. This same remedy will help when one feel angered, exhausted or tense. For calming the mind - apply a drop of neroli oil to a tissue or use in depression, anxiety, nervousness & agitation. Neroli oil has been shown to improve mood. Neroli is also used as an antidepressant which is good for the mind and thought. It work as an antiseptic which is used in minor inflammations and to kill germs and as an aphrodisiac and also used in calming and relaxing. It is known to regenerate skin cells and improves the skin elasticity. It is also good for preventing acne, scarring and stretch marks. It is used to relieve depression, stress, shock and panic. It is popular for weddings, its white blossoms are used in bridal bouquets, symbolizing purity and it also helps calm the bride's nerves with sweet and floral smell. Neroli oil is used to flavor pharmaceuticals and the absolute is used extensively in high-cost perfumery work, especially Oriental, floral and citrus blends, also as a fixative. The oil is used in eau-de-cologne and toilet waters (traditionally with lavender, lemon, rosemary and bergamot). Limited uses as flavoring ingredient in foods, alcoholic and soft drinks. It is used to scent candles; freshen potpourri; in soap making; massage oils; bath oil and as a perfume body oil. The distillation water, known as orange flower water, is a popular cosmetic and household article. Bath- For bath add a total of 10 to 15 drops of neroli oil to an already full bath. Agitate the water to thoroughly disperse the oils before getting in. Compress- Add 5 to 8 drops of neroli oil to 2 cups hot or cold water and agitate to disperse oils. Briefly soak a cotton cloth, wring and place on skin. Repeat every 15 minutes for up to one hour. Inhalation Place 1 to 3 drops of neroli oil on a cloth to inhale or place 1 to 3 drops of essential oil into a bowl of hot water, cover head and bowl with a towel and inhale for relaxation. Perfume- Absolutes, resins and more viscous oils are ideal for creating and blending personal fragrances, artistically and imaginatively.